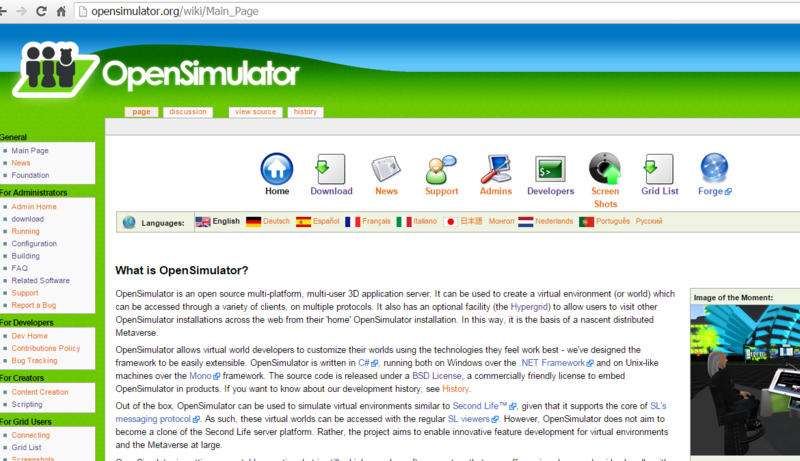 OpenSimualtor is the free open source virtual world server that is used to host a virtual world used in education. There are several preconfigured distributions of the standard OpenSimulator, like Diva Distro, which is a standalone hybergrid enabled OpenSimulator, that includes the Wifi administrator interface. OpenSimulator is used by the US military for training soldiers in for example how to clear a room. Search for Military OpenSimulator Enterprise Strategy (MOSES). Recently a major hosting provider released their version of OpenSimulator to Github. Search for InWorldz Halcyon 3d virtual reality world simulator. This version runs on Cassandra NoSQL database and uses PhysX for physics simulations and is therefore able to scale much better.